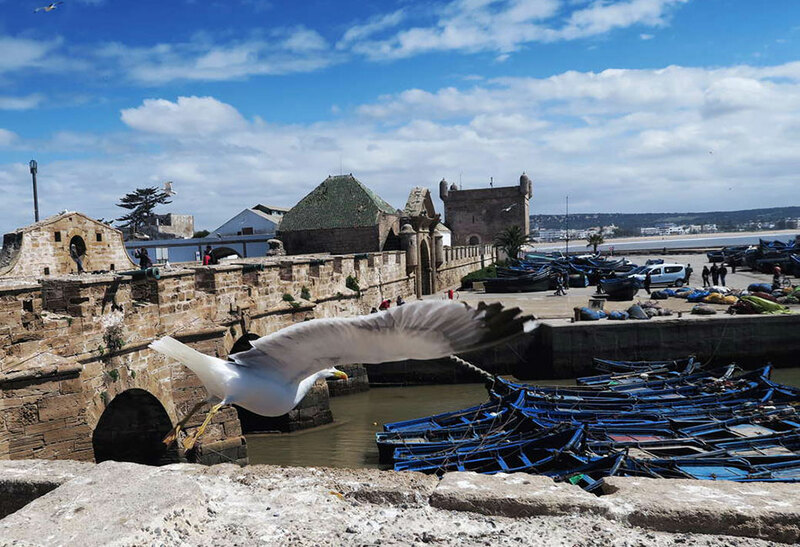 This private 1 day tour from marrakech to ouarzazate is full of adventure and fantastic photo opportunities; it’s also the ideal opportunity to experience a large part of Morocco in just one day. 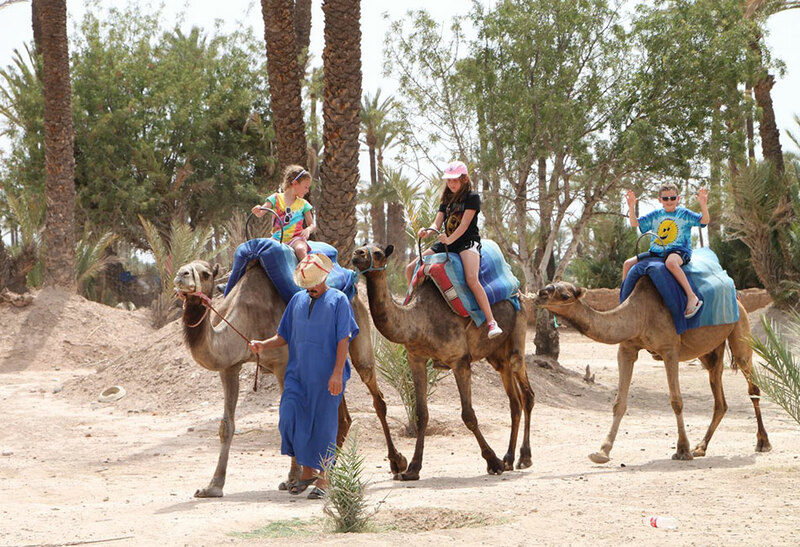 We understand that many people are time poor and don’t have time to spend days and nights exploring the great Sahara Desert, camel trekking, visiting Berber villages and so on, so this 1 day tour from marrakech to ouarzazate has been designed especially for you. Our day together will begin at around 8 o’clock in the morning when we leave Marrakesh and journey across the High Atlas Mountains. This experience, by itself, is simply amazing! You’ll experience the awesome height and rugged beauty of these peaks as we travel along the mountain roads in our air-conditioned minibus. Along the way we’ll stop at several small Berber villages where you’ll have some great photo opportunities. 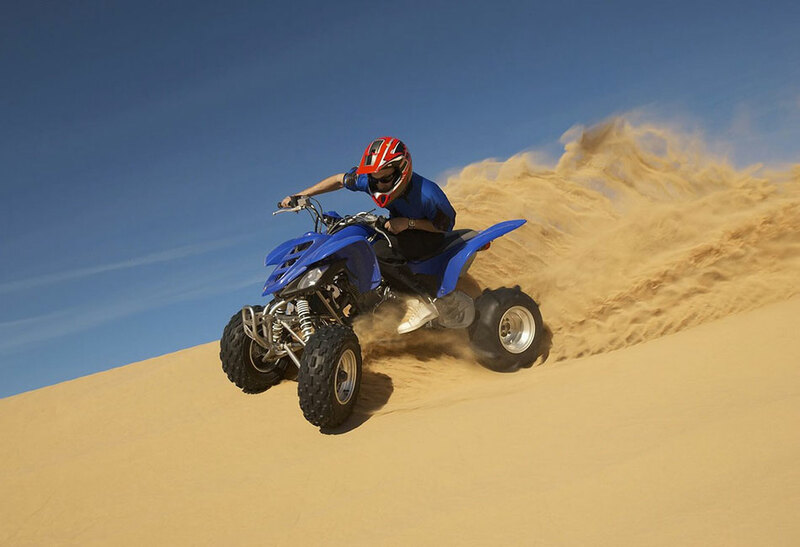 The scenery here is simply stunning, so make sure your cameras are charged and ready to go! Next, we’ll begin our journey to the Kasbah at Aït Ben-Haddou, and again you’ll enjoy fantastic photo opportunities as we travel for the next couple of hours on our way to the Kasbah. 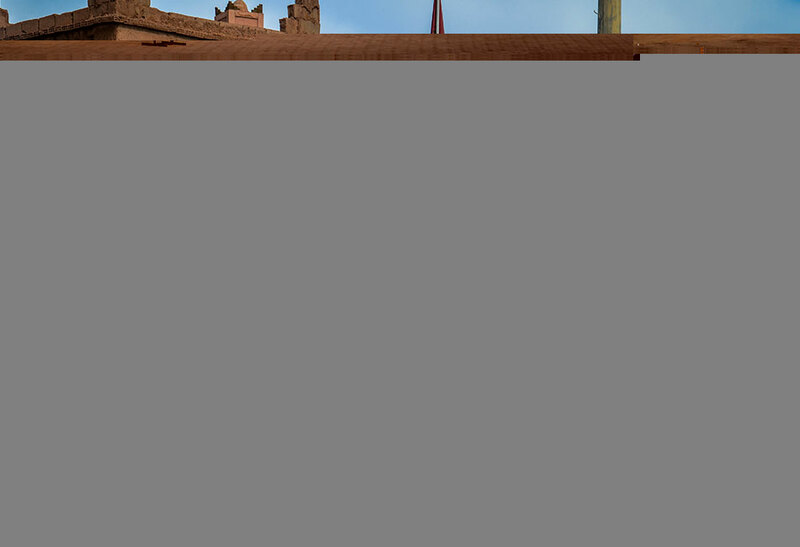 What’s to see at the Kasbah Aït Ben-Haddou? Kasbah Aït Ben-Haddou is the perfect example of southern Morocco architecture. The fortified village of Kasbah Aït Ben-Haddou, comprising six Kasbahs and around fifty individual Kasbahs, is located on the old camel caravan trail between Marrakesh city and the great Sahara Desert in the province of Ouarzazate. Established around the year 755, Kasbah Aït Ben-Haddou is believed to be the burial ground of its founder, Ben-Haddou. Aït Ben-Haddou is a city constructed of clay bricks, with thick defensive walls protecting the inner buildings. In 1987, Kasbah Aït Ben-Haddou was declared a UNESCO World Heritage site. This site is also of great interest to Hollywood production companies and film crews, and it’s easy to see why. Many of the greatest Hollywood blockbuster movies were shot at this very location; Lawrence of Arabia was filmed in 1962, Sodom and Gomorrah in 1963, The Man Who Would Be King in 1975, The Jewel of the Nile was filmed in 1985, The Living Daylights in 1987, The Last Temptation of Christ in 1988, and Kundun in 1994.The Mummy was shot here in 1999, the fabulous movie Gladiator was filmed here in the year 2000, and the movie Alexander was filmed at this very location. Walking along the same streets that your favourite movie actors walked can be a mind-blowing experience! Your tour around Kasbah Aït Ben-Haddou will be a guided tour, and you’ll also get to see the merchant houses and market areas. 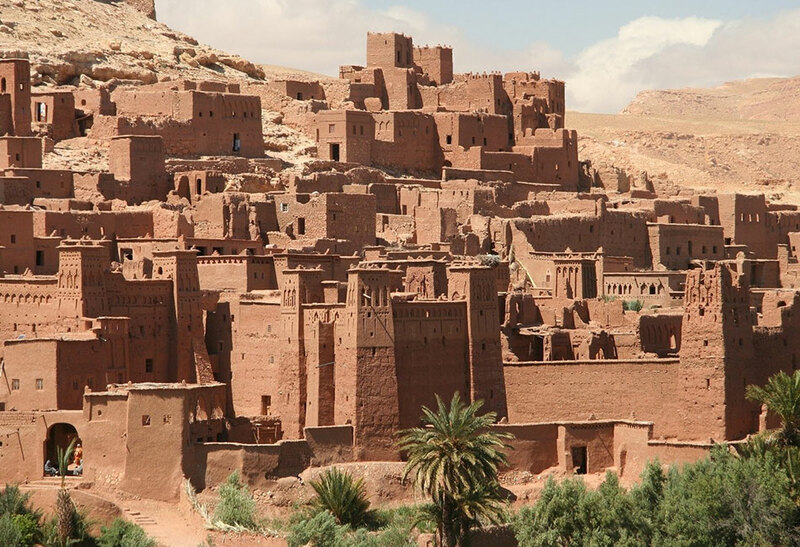 We’ll then move on to the city of Ouarzazate and explore the ancient buildings and marvel at the simply stunning scenery. It’s no wonder Hollywood film crews choose this very location with its golden landscapes, ancient buildings, and stunning scenery to shoot their blockbuster movies! This tour is guaranteed to depart daily. You’ll visit the Kasbah Taourirt and film studios at the city of Ouarzazate. You’ll be delivered back to your accommodation at the end of this excursion. 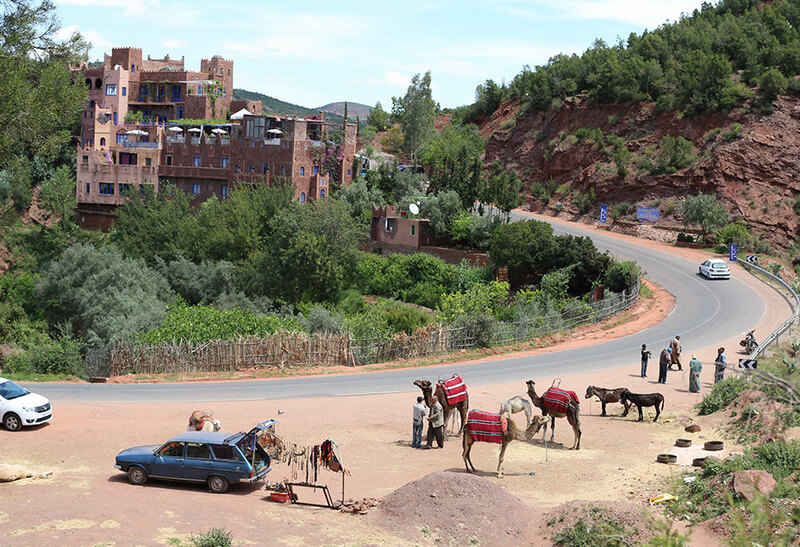 Your guided tour around Kasbah Ait Ben Haddou will cost around three euro.